The Cemetery Lodge in London Road, Louth. After many months of deliberation, Louth Town Council has voted to put the Cemetery Lodge on the London Road up for sale. Built in the early 1850s, on an outcrop of chalk, the Victorian building is in need of extensive restoration. After taking detailed advice from structural engineers and architects, town councillors have agreed that - rather than expect ratepayers to foot the bill for what could be a very expensive undertaking - it would be better to offer it to an enthusiast to restore. 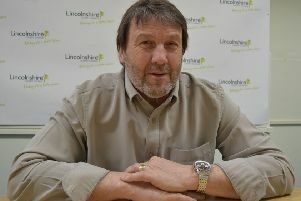 The chairman of Louth Town Council’s community resources committee, Councillor Andrew Leonard, said: “The council does not have the expertise to take on such work. It needs an experienced project manager to oversee the restoration. Councillor Leonard added: “Sadly, whilst we were keen to open up the archway into the cemetery again, the requirements of health and safety have put this beyond what the council can afford. The building, which is not listed, offers a number of small rooms on three levels leading off a circular stone staircase. It can be extensively and imaginatively remodelled to fit a buyer’s personal requirements, subject to planning permission. It will be sold by tender with the proviso it is not to be demolished. There is parking in the lay-by off the London Road and an area of garden will also be included in the sale. Councillor Leonard summarised: “If, when the tenders come back, they are not acceptable we will have the option of not selling the property. • Offers in excess of £50,000 will be considered. Call Masons estate agents on 01507 350500 if you are interested in the property.